I love making videos to share with you so I couldn’t resist making one for this colouring sheet too – besides I like to test out everything I share! If you’d like to watch this colouring in action just check out the video below. Like this colouring page? If you think you’re kids would like it but you’re not near a printer right now then make sure you bookmark this page or pin an image so you don’t forget about it. 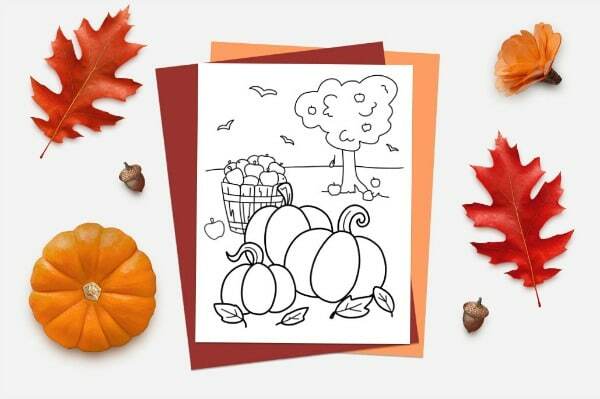 All you need for this autumn colouring sheet is some white paper to print on and of course some colouring pens or pencils. In the video I use Crayola pens as to date I’ve always managed to wash them out of everything me or the kids have got them on (and that says a lot!) 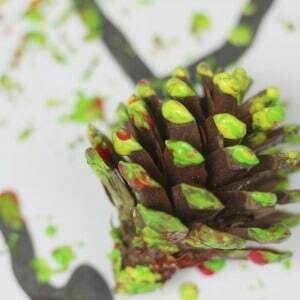 or if you prefer colouring pencils I like the twistable ones as they don’t need to be sharpened at all, perfect for if you like to take colouring out and about with you. Please note that this colouring page is for personal or school / preschool use only. Fancy something a bit more challenging or something for yourself? 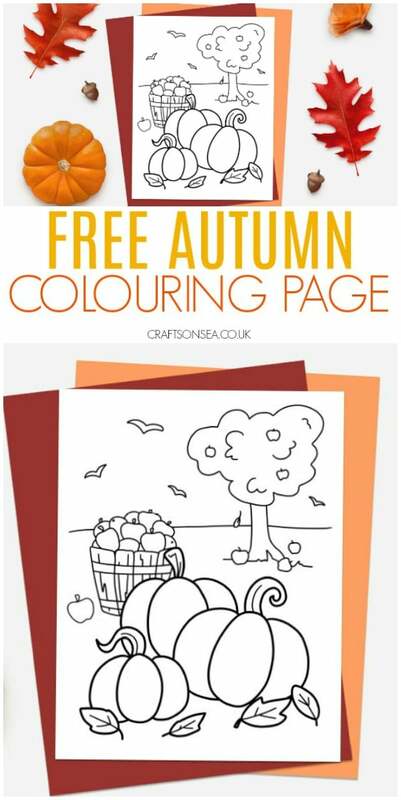 You’ll find 17 detailed autumn colouring pages here. 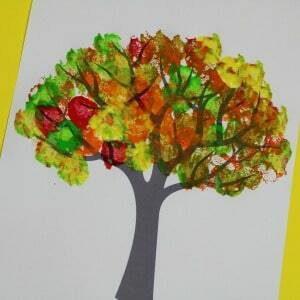 Or if you like free printables why not check out these autumn tree painting ideas with a tree tree template for you. 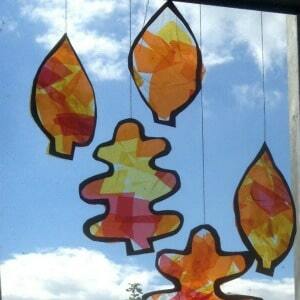 Or this fun pinecone rolling activity has a free autumn leaf template to go with it too.